Historian Michael Wood presents a series exploring the United Kingdom's remarkable past from the perspective of ordinary people. This second episode explores how our modern ethnic and linguistic identities began to take shape after the Dark Ages, and how English, Scots and Welsh nations emerged under the impact of the Viking invasions. 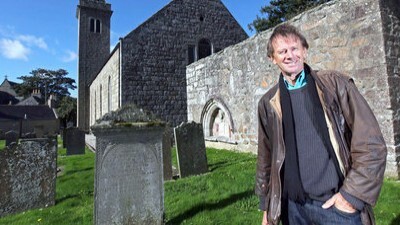 Michael Wood travels across Britain and Ireland to see local communities making exciting new discoveries about their medieval origins - from northern Scotland and County Antrim, to the Black Country, Cornwall and Norfolk, where a huge community dig is discovering the lives of their early Anglo-Saxon ancestors. The tale of the coming of the Vikings is seen from Ireland, the Wirral, Govan and York as the Vikings begin to change the racial and cultural makeup of much of Britain and Ireland. Towards the year 1000, kingdoms have arisen across Britain: the British people have created societies, law and order, and Michael concludes that the dialogue has begun between the rulers and the people.